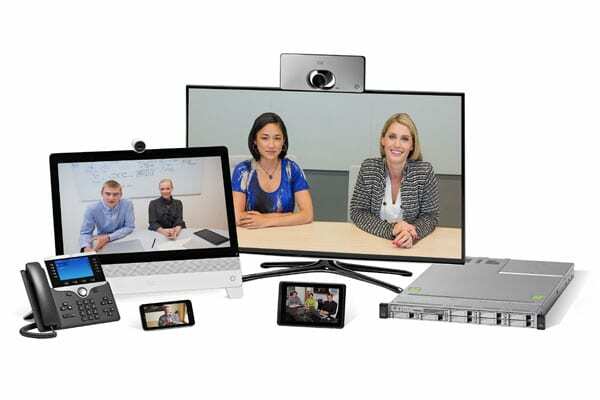 Cisco Unified Communications brings together voice, video, telepresence, messaging, presence and conferencing. Cisco packages these services into various configurations, which include the Cisco Business Edition 7000 for large enterprises, the Cisco Business Edition 6000 series for SMBs of less than 1,000 users and as a cloud-based service called Cisco Hosted Collaboration Solution (HCS) offered by Cisco partners. Cisco also offers a full range of endpoints, including phones, desktop collaboration endpoints, room systems and immersive solutions, as well as Cisco Jabber, its mobile and desktop client. Collaborate Anywhere on Any Device with Cisco Jabber Give your teams the freedom to be productive from anywhere, on any device, with Cisco Jabber. Cisco Jabber lets you access presence, instant messaging (IM), voice, video, voice messaging, desktop sharing, and conferencing. Now you can find the right people, see if and how they are available, and collaborate using your preferred method. WebEx pioneered online meetings, and now, backed by Cisco performance and reliability, they’re out front, pushing boundaries. Each Cisco WebEx product is part of an interoperable ecosystem of solutions for working together remotely. While most can be purchased and used alone, WebEx products can be combined and customized to your needs. IP Phones to Meet a Range of Needs In today’s business environment, your organization must meet the needs of a wide range of endpoint users with different communication styles and distinct workspaces. Some users want to communicate through their desk phones. Others prefer wireless devices. Still others lean toward soft clients. The portfolio of Cisco IP phones includes user-friendly, full-featured internet phones to meet the needs of your entire organization.